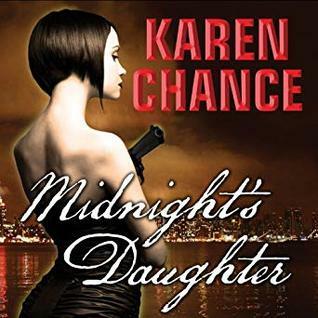 I borrowed an audio copy of Karen Chance‘s MIdnight’s Daughter through Hoopla and my local library. Dorina Basarab is a dhampir-half human, half vampire. Subject to uncontrollable rages, most dhampirs live very short, very violent lives. So far Dory has managed to maintain her sanity by unleashing her anger on those demons and vampires who deserve killing. Now Dory’s vampire father has come back into her life. Her Uncle Dracula (yes, the Dracula), infamous even among vampires for his cruelty and murderous ways, has escaped his prison. And her father wants Dory to work with gorgeous master vampire Louis-Cesare to put him back there. I did appreciate that men were sexualized and victimized. I know that seems an odd thing to praise, but usually it’s ONLY WOMEN who get this treatment and it was nice to see a little parity. And I can also imagine some of the problems of this book being because it’s the first in a series and had to set everything else up. Despite not liking it much, I might be willing to give book two a chance to see if the things that annoyed me so much don’t carry over. I did think Joyce Bean did a fine job with the narration. This entry was posted in books/book review and tagged audio book, book review, urban fantasy, vampire on February 4, 2019 by Sadie.